The new batch of Lost & Found pamphlets (“primary documents . . . uncovered in archival research” of “extra-poetic work—correspondence, journals, critical prose, and transcript of talks—of New American Poets, their precursors and followers”) is out, deliver’d in a set of six impeccably design’d and print’d volumes (Series II) by the Poetics Document Initiative at the City University of New York. Ammiel Alcalay, General Editor. Likely a magnificent pedagogical tool (the research and textual editing is done by students in English, along with visiting scholars), undoubtedly a bonanza for readers and writers. 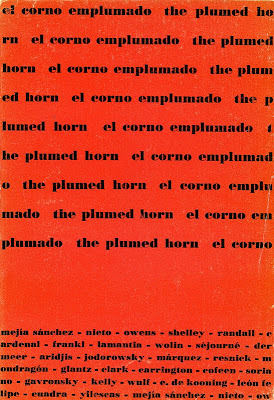 The second series: the Margaret Randall-edit’d Selections from El Corno Emplumado / The Plumed Horn, 1962-1964; Diane Di Prima’s The Mysteries of Vision: Some Notes on H. D., edit’d by Ana Božičević; Diane Di Prima’s R. D.’s H. D., edit’d by Ammiel Alcalay; Muriel Rukeyser’s “Barcelona, 1936” & Selections from the Spanish Civil War Archive, edit’d by Rowena Kennedy-Epstein; the two-volume Jack Spicer’s Beowulf, edit’d by David Hadbawnik and Sean Reynolds; and Robert Duncan’s Charles Olson Memorial Lecture, edit’d by Ammiel Alcalay, Meira Levinson, Bradley Lubin, Megan Paslawski, Kyle Waugh and Rachael Wilson. We prided ourselves in showcasing work by communist guerrillas, Catholic priests, indigenous poets, consecrated masters and those publishing for the first time, irrespective of whatever style or group was fashionable. Quality was our criteria. We adjusted the page to the requirements of the word rather than the other way around. We printed as much translation as possible, making such poets as Allen Ginsberg available for the first time in Spanish and Ernesto Cardenal in English. Each year’s final issue was a book by a single author, in completely bi-lingual facing-page format. 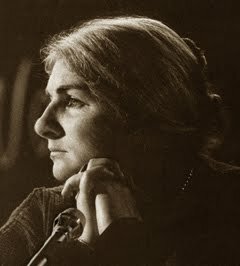 We also featured important anthologies from a single country or, occasionally, a single poetic movement. 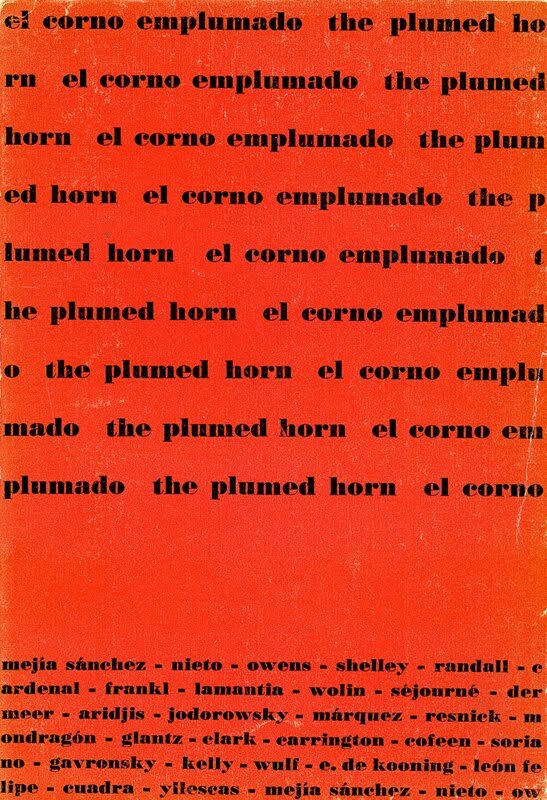 (Some notable issues: El Corno #14, with an Anselm Hollo-edit’d anthology of new Finnish poetry; El Corno #23, “a comprehensive anthology of new Cuban writing that, because of the U. S. blockage, had previously been unavailable to readers in other parts of the world”; and El Corno #10, including “what we then called primitive poetry—from the Comanche, Paiute, Tlingit, Arapaho, Easter Island, Ojibway, Eskimo, Bailas, Pigmy, Nahua, Sioux, Pima, Somali, Quechua, Cuna, Maya, Guarao, and Otomi traditions” and “an anthology of the new Concrete Poetry of Brazil.”) Randall and Mondragón included artwork, too, in El Corno Emplumado. Drawings by Leonora Carrington, Elaine de Kooning, Juan Soriano, Carlos Coffeen Serpas, and writing by Milton Resnick appear’d El Corno #1. Smelling out Coptic sounds— . . . I was four thousand feet high . . . In the heart of stone of the Andes. The open mouth of the earth surprised me with its deep color. Like one of her fruits, the coffee bean. There all colors acquire qualities strange to their natures. Some fruits are a timid red, other a violent crimson. The reticent green, the bountiful green of certain trees; the robber’s blue, honorable blue, virtues and defects almost human, scale of values also applicable to the animals with whom these Andes men live without appreciable difference. A difficult earth, only a bit of earth stretched over the sleeping eye of a volcano . . . So I’m going to write after that about my double? With man valor to speak of psychoanalysis? Speak then about Socrates to the doctor? Like I am going to read André Breton? Will it ever be possible to evoke the profound I? How can I write after that about the Infinite? Innovate then the trope, the metaphor? Talk after that about the fourth dimension? With what expression to weep in the theatre? Talk after that to anyone about Picasso? So I’m going to enter the Academy? With what courage can I speak of the beyond? Someone passes counting on his fingers. How can I speak of the not-I without a cry? Am I going to write, after that, about my double? How dare one speak about psychoanalysis? To talk then about Socrates with the doctor? After that I’m going to read André Breton? Will it ever be possible to allude to the deep Self? How to write, after that, about the infinite? To innovate, then, the trope, the metaphor? To speak, after that, about the fourth dimension? With what face to cry in the theater? To speak, after that, to anyone about Picasso? How then become a member of the Academy? How dare one speak about the beyond? How speak of the non-self without screaming? A relevancy pour tous et toutes.